The Chancellor’s Spring Statement took place yesterday. There was not a lot new apart from clarifying that MTD (Making Tax Digital) will not yet be rolled out for taxes other than VAT, which is coming in from 1 April 2019. We have summarised what was said, together with other topics of interest (‘Looking Ahead’) in our newsletter which we hope you will find of interest. Please download it here. Our summary includes updated forecasts for the UK economy and public finances, as published by the Office for Budget Responsibility. The Chancellor pledged to bring forward the £700 million reforms for business apprenticeships, and also announced that a £26.6 billion ‘deal dividend’ would be made available to help boost the economy, providing a Brexit agreement can be reached. 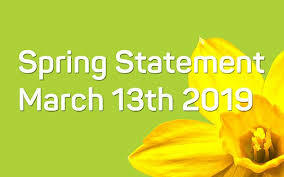 For advice on any of the topics covered in our Spring Statement newsletter, and how they may have an impact on your business or personal finances, please give us a call on 01763 853 633.